Dental assisting is a challenging and rewarding career. Demanding & versatile with responsibility for many different tasks. Dental assistants greatly increase the efficiency of the dentist in the delivery of quality oral health care – according the ADA – and are valuable members of the dental care team. If you have strong communication skills, enjoy working with your hands as well as your mind and want a career with responsibility, dental assisting is for you. Variety: Dental assisting is a challenging and rewarding career, demanding versatility and a willingness to assume responsibility for many different tasks. Flexibility: Since dental assistants are in demand, career options include both full-time and part-time positions. Excellent working conditions: Dental offices are interesting, pleasant, people-oriented environments in which to work. Personal satisfaction: Dental assisting involves people contact, and with this personal interaction comes the personal satisfaction of knowing you’ve really helped someone by helping to provide a valuable health service. 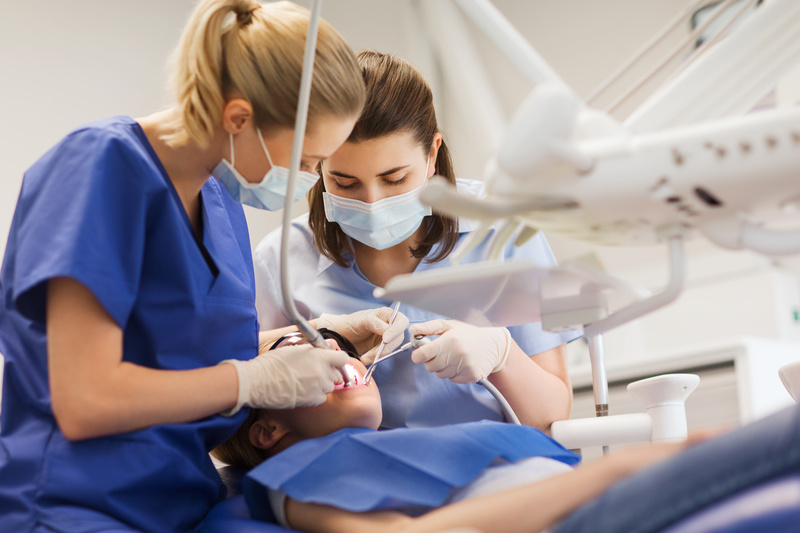 The salary of a dental assistant depends primarily upon the responsibilities associated with the specific position and the geographic location of employment. Dental assistants earn salaries equal to other health care personnel with similar training and experience such as medical assistants, physical therapy assistants, occupational therapy assistants and pharmacy assistants.